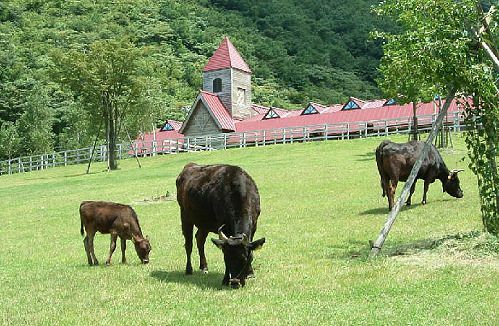 Tajima cows, born in the Tajima region of Hyogo prefecture, are a famous breed of cows that are raised by combining the unique climate of the San'in area, its plentiful nature, and years of expertise in raising cattle. 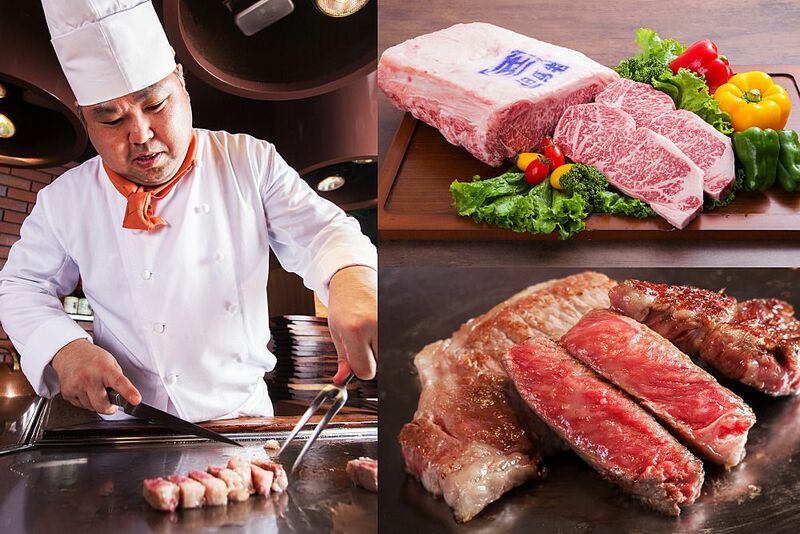 The deliciousness of Tajima cows, which is commonly known as "Kobe beef," is world renowned. 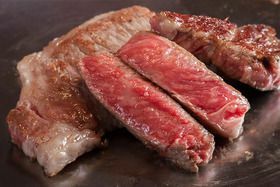 The superior gene of Tajima cows has also been helpful in the overall improvement of breed of cows native to Japan, called Kurogewagyu (Japanese black cattle). People in Shin-onsen have been raising Tajima cows since the olden days, and have continuously improved the methods of raising Tajima cows and continue to do so to this day. 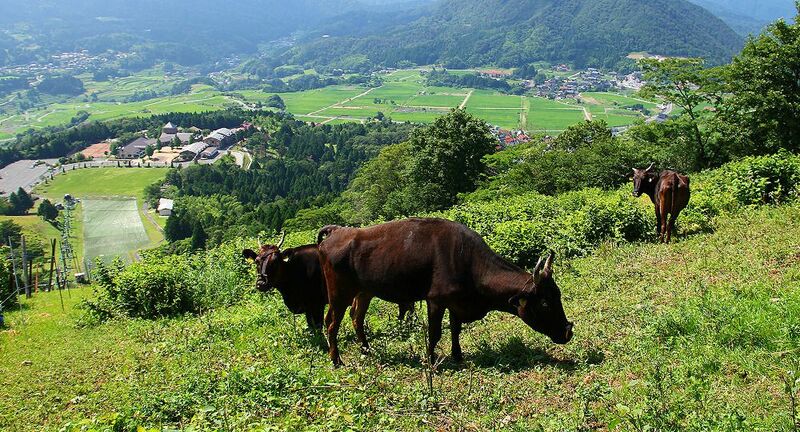 From that long history of raising cattle, Shin-onsen has become know as the hometown of Tajima cows. ___Tajima ushi (Tajima cow) is the name used to refer to cows born in current day Hyogo prefecture. Among these cows there was a particular lineage that produced superior quality meat. As a result a quality classification system and distribution management system was introduced and the meat from Tajima cows began to be used for eating. ___Pure-bred Tajima cows were thought to have gone extinct; however, four pure bred Tajima cows lived on in a small community deep in the Ojiro area of Kami-cho, Mikata-gun, Hyogo-ken. The area in which the four cows lived was so remote that it was called a solitary island. Due to the remoteness, the cows did not crossbreed with any foreign breeds. From those four cows pure-bred Tajima cows were revived. ___Currently all Tajima cows are born and raised in Ojiro and are descendants of those four cows nicknamed Tajirigo. According to a study conducted by the National Wagyu Registry Association in February, 2012, 99.9% of breeding female cows were descendants of Tajirigo. The quality of the meat from Tajima cows is of an especially high caliber so some calves are also being used in the production of Matzuzaka-gyu (Mie-ken) and Oumi-gyu (Shiga-ken). 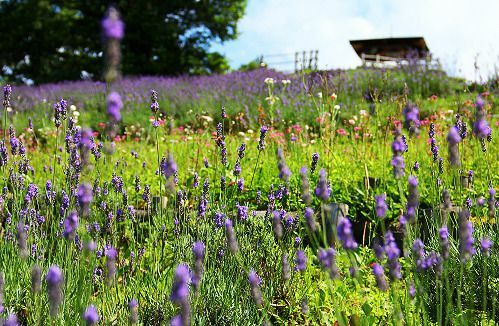 You can watch and touch "Tajima-Ushi" at the Hyogo Prefectural Tajima Pasture Park in Shin-onsen. 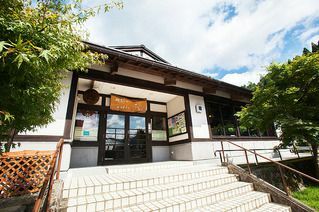 Within the park there is the Tajima Cattle Museum where you can learn about the history, culture, and the secret to the deliciousness of Tajima ushi. 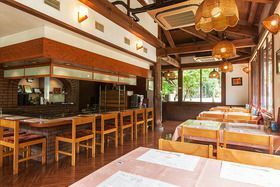 At this restaurant you can taste the meat of a pure-bred Japanese black cattle, which was scrupilously selected by the owner of the restaurant. Please enjoy the exquisite cuisine amongst the distinctly Japanese atmoshpere of the restaurant. 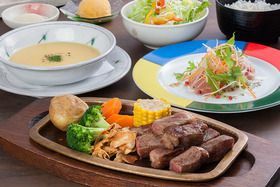 Visit Shinonsen >Attractions	>Enjoy the delicious meat from the calves used to make Kobe Beef, nicknamed "Tajima Beef."